Ica is a beautiful South American city founded in 1563 with many historical, cultural, and archeological sites to visit and explore. We are a 16 room family inn with clean, quiet, comfortable rooms with both private and semi-private baths and economical rates. All of our beds have orthopedic mattresses. 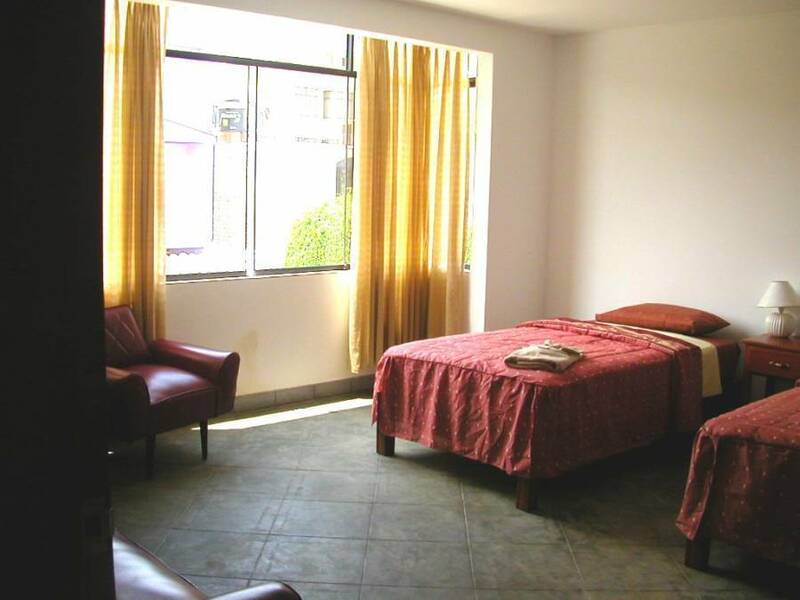 We are away from the hustle and bustle found in the center of town, just blocks from the regional museum of Ica and 2 miles from the famous Huacachina Oasis. Linens, towels, 24-hr solar hot water, TV, FAX service, internet available. Transportation to the hostel from the bus depot or to any area attraction available. Meals available. Backpackers welcome. We can arrange area trips, tours, and flights over the Nazca lines. e-mail us with your needs and we will schedule for you. All rooms equipped with orthopedic mattresses, and have television with local channels. Close to laguna Huacachina and and just a few blocks from the regional museum. We are located in Ica, Peru which is an approximate 4 to 5 hour drive South of Lima. Two major bus lines, Cruz del Sur and Soyuz both have regular bus trips to Ica every 15 minutes or so and tickets cost about $10 to $15 dollars per person one-way. Once you arrive in Ica, from either of bus terminals in Ica take a taxi (or walk if you prefer) South on the street "J. J. Elias" After travelling 2 long blocks turn right on "Duraznos" travel 2 more blocks past the munincipal park on the right hand side then left on "Los Olivos". Los Olivos changes into "La Florida" and the hotel is on the right hand side.